With the prestige of a celebrated history behind them, Bentley remains one of the king brands within the realm of luxury automotive. Bentley vehicles frequently exceed six figures in their price points. What this means for buyers is that they can expect only the best in prestige, style, comfort, and vehicular refinement. For buyers who may not want to reach that deep into their pockets to enjoy these cars, buying Bentley used cars can provide an excellent compromise. Used Bentley prices can often come down to much more reasonable rates for buyers. However, it’s critically important for you to complete a thorough assessment of the vehicle before you buy it. In most cases, well-maintained used Bentleys offer an impressive level of endurance and staying power – even in older year models. Are you in search of a Bentley for sale used? Follow this guide to get a better understanding of how to find your way to what you want. That way, you will find the best used Bentley prices for the model you’re looking to buy. The enduring model for everything Bentley represents, the Continental GT is all about indulgence for car lovers. This luxury coupe is a callback to the golden days of automobiles – ringing in the heritage of Bentley’s celebrated brand. Luxury cars of the 1950s provided both speed and comfort in a style that consistently generated attention. The Continental GT brings this spirit forward, giving you some of the best performance in any brand of car on the market today. This comes thanks to a twin turbo, 12 cylinder engine – and a whole lot of power behind it. To keep you comfortable with all this power under the hood, the extensive list of luxury features will show you why this car has reflected the prestige of Bentley for so many years. Currently in its second generation since 2011, your price will vary when you opt to buy a used Continental GT based on the year, style, mileage, and other related factors. Of course, what better way to celebrate automotive distinction than with your own used Bentley convertible? The Continental GT is also available in a line of stylish and immensely powerful convertibles. These models feature the same incredible engines as the coupes mentioned above. Concerning your potential cost, convertibles often come in higher demand than other options which frequently increases their prices. However, the right negotiations and a motivated seller can potentially allow you to find an excellent deal to get the car of your dreams. 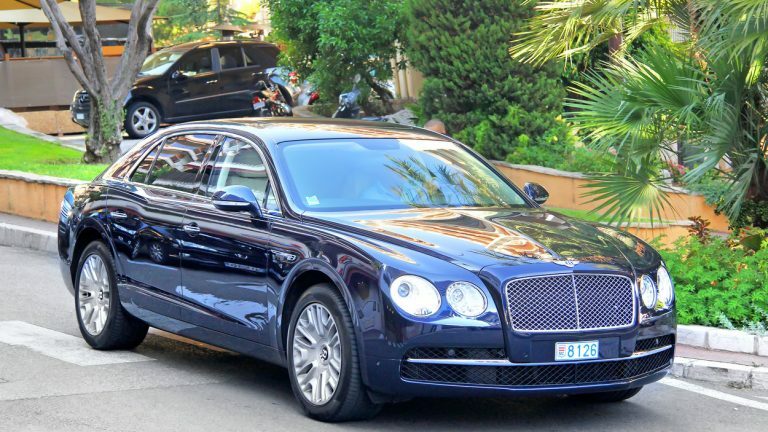 When it comes to top of the line, you’ll find few peers alongside the Bentley Mulsanne. This is the largest sedan offered by this manufacturer and has remained its flagship model since debuting in 2011. As always, you’ll enjoy unparalleled performance with a 6.75 liter V8 engine that is all about power. While it handles a little less smoothly than some other models, this is the car to buy for those who truly want to indulge in automobile excess. As far as the used Bentley prices for this model, you can expect most of them to remain well above six figures for fair market value.